Today’s townland is Grangee, on the Ards peninsula in County Down. Grangee lies between Millisle and Carrowdore. 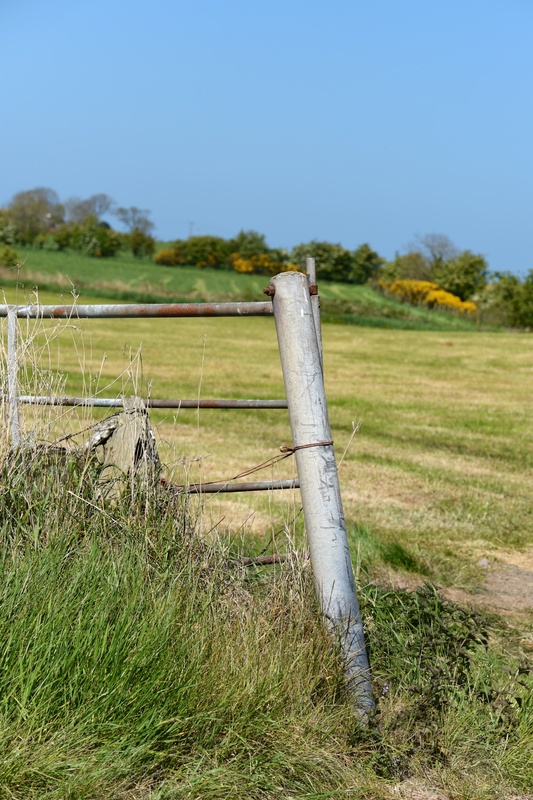 According to PLACENAMESNI, the name of this townland comes from the Norman-French word grange, meaning farmland belonging to a monastery. That became gráinsí or gráinseach in Irish and “grange” in English. Does this sound familiar? 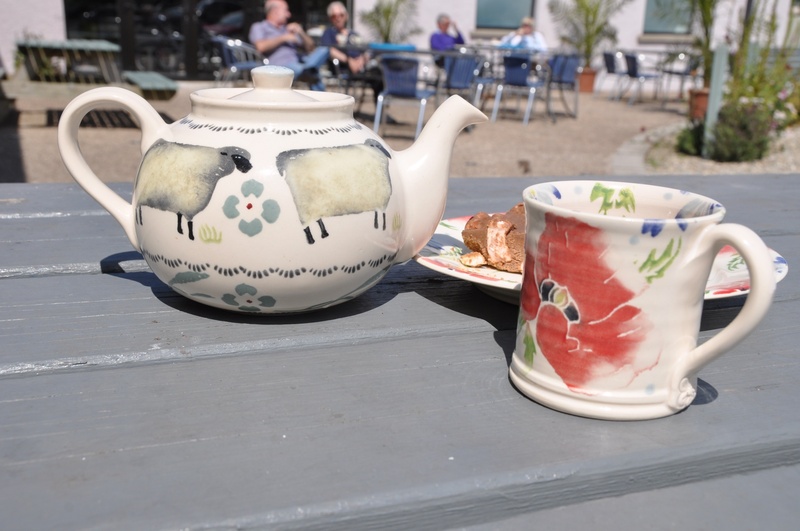 Maybe because monastic farms or “granges” have also given us several Irish townlands called Gransha, one of which I have already visited for this blog. 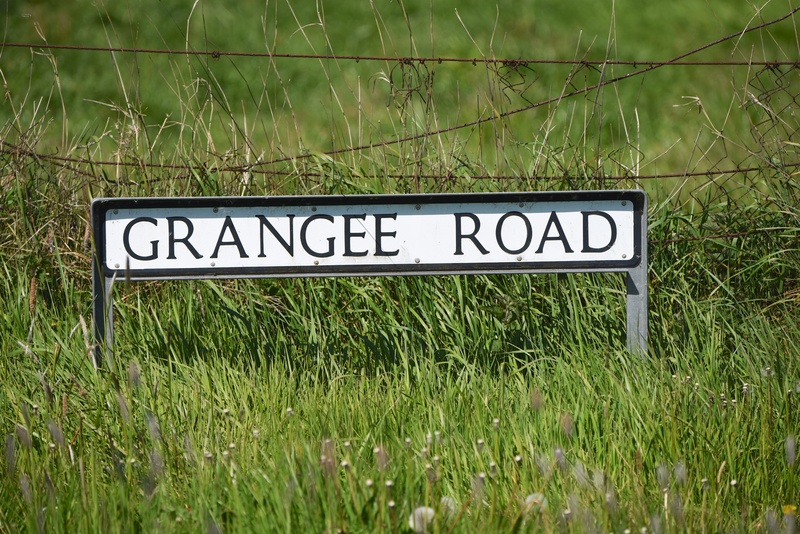 The fields of Grangee townland, around Ballyblack Road East, Abbey Road and Grangee Road, are still productive. I wish I knew which young vegetables were protected under the polythene. Every farmer in County Down seems to be cutting grass for silage this week. I was too late to photograph them in Grangee. I found only empty fields, with open gates, and tyre marks from tractors leaving Grangee with heavy trailer-loads of grass. 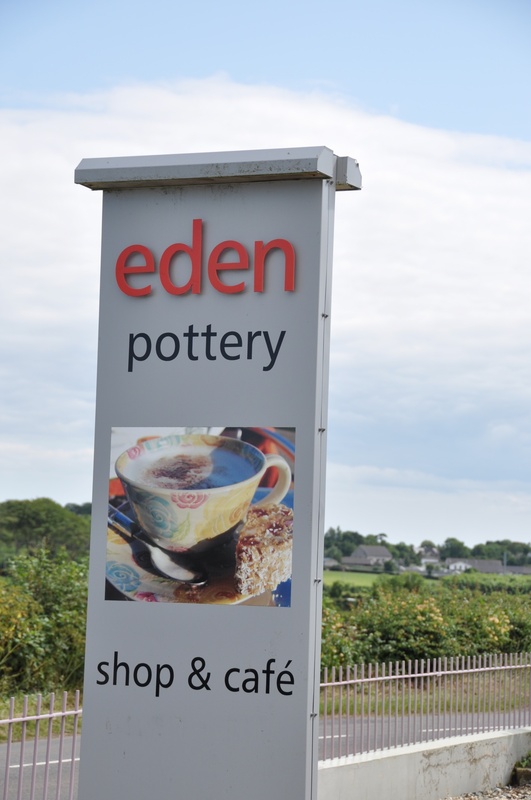 At the point where Grangee meets Ballyfrenis, the Eden Pottery serves tea and scones. I bet the silage-cutters don’t have time to stop here. 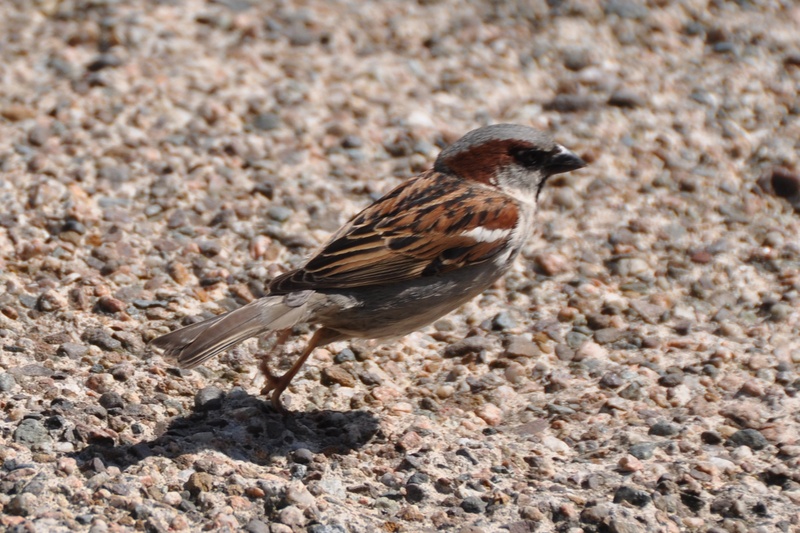 Just watch out for the crumb-hungry sparrows. 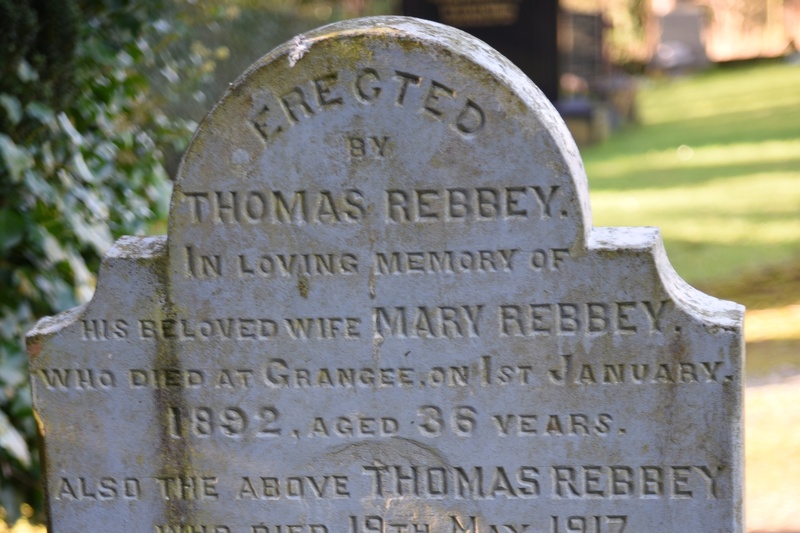 Finally, here is a gravestone from Carrowdore churchyard for the Rebbey family of Grangee. 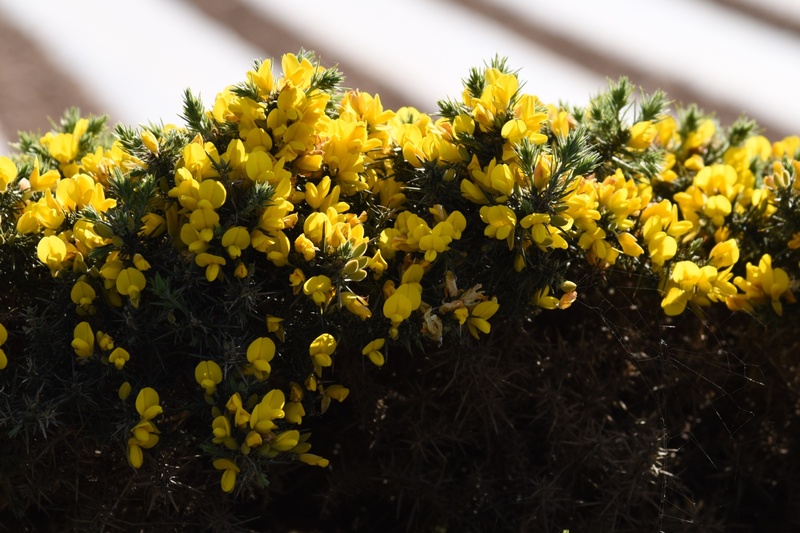 Which townlands border Grangee? To the east, Ballyfrenis and Ballyrawer. To the west, Ballyblack. To the south, Ballyboley. 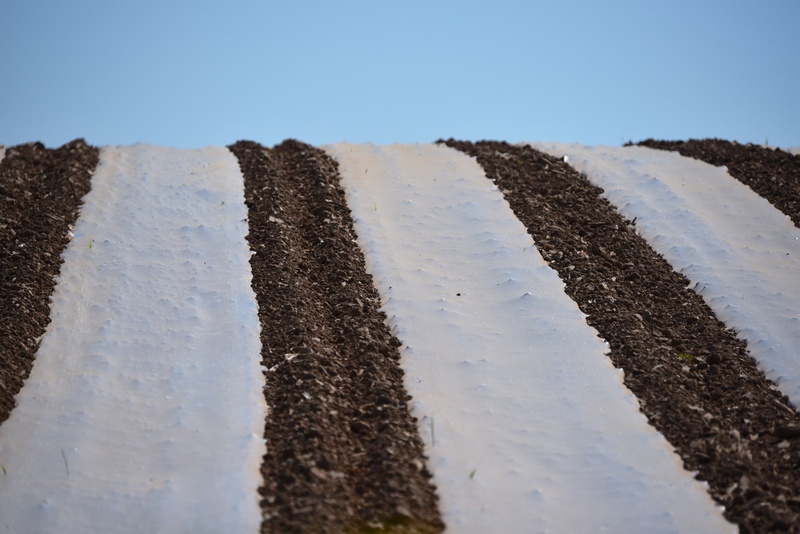 To the north, Islandhill. I think my favourite pattern is apples. Or maybe cherries. Or birds and leaves…I like them all. Yes, the pottery is great! How were the scones and tea?